Former magician Charlie Haverford oversees a number of fortune telling parlors on behalf of his violent and domineering Romani kingpin boss, until a blow to the head jars him into a new mindset, making him question everything he has ever believed. Con artists Charlie and Linda form a plan to get out from under their bosses; Charlie is injured. Nick tries to impress a girl; Linda starts a long con on an unstable, wealthy woman. 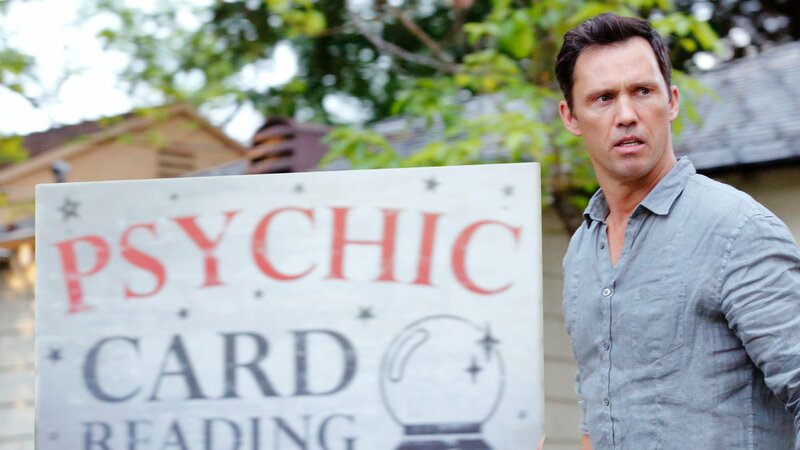 Charlie seeks help with his intensifying visions; Linda's relationship with a hypnotist deepens. Charlie taps into Nadine's past; Nick skips school to spend time with Emma; Linda makes a discovery. Linda's marriage is threatened by her affair with Gina. With Rita and a new psychic fraud unit on their tail, Charlie and Linda fight to keep their long con of Nadine on track. A surprise ruling at a Gypsy council upsets Fonso. A bitter betrayal and a vision of Nick in danger forces Charlie and Linda to confront the troubled state of their marriage. A dead body, a startling confession, and a sudden turn by Eduardo put Charlie and Linda at a crossroads. When Charlie and Linda attempt the con of their career, a haunting vision of their future leads to a shocking conclusion.